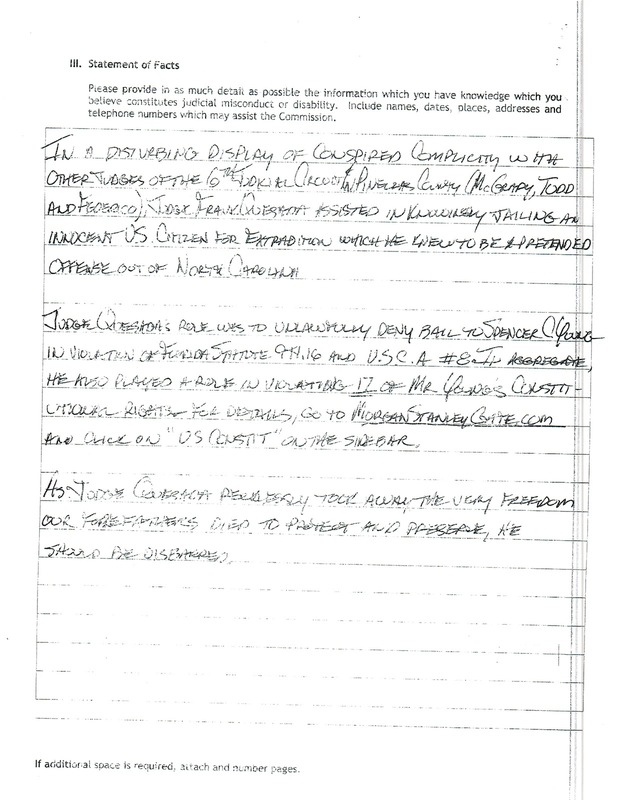 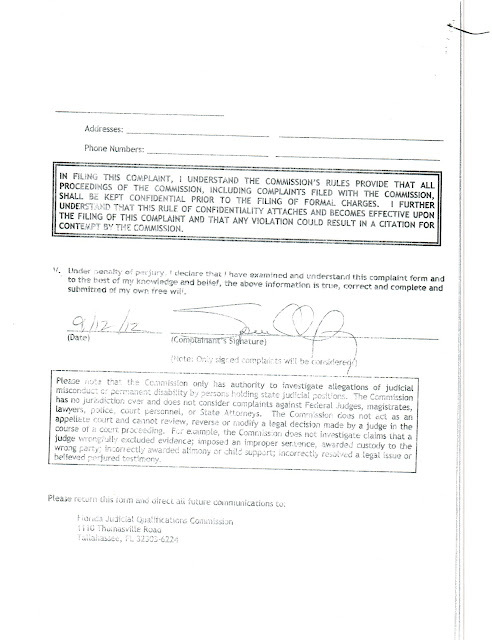 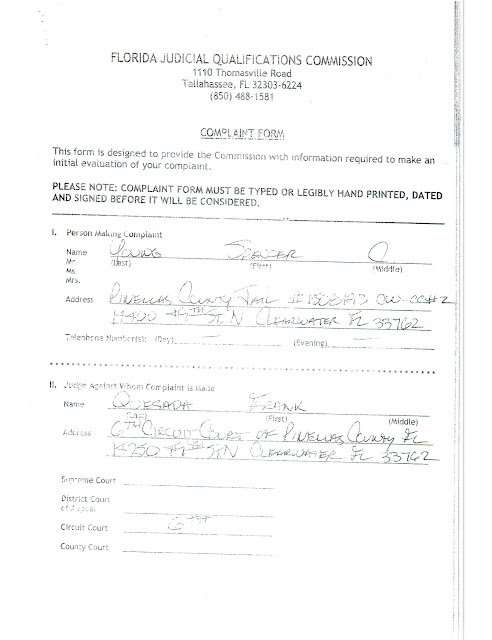 Evidencing a truly disturbing level of judicial corruption and outright disdain the U.S. Constitution, Pinellas County Judge Frank Quesada played a key initial role in jailing an innocent U.S. citizen (Spencer C. Young) on a charge literally made up out of thin air (and eventually dismissed as meritless). 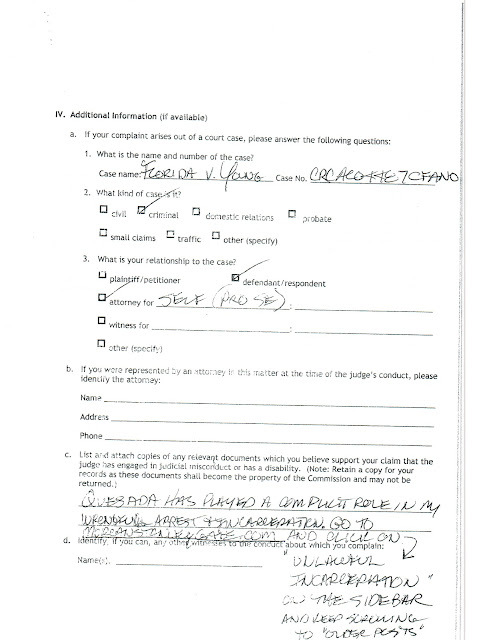 The genesis of this false charge was intended to intimidate and cover up the extensive crimes (including FIVE episodes of Grand Larceny) of a criminally corrupt judge in North Carolina (David Q. LaBarre) and LaBarre's girlfriend (Leah R. Krier). 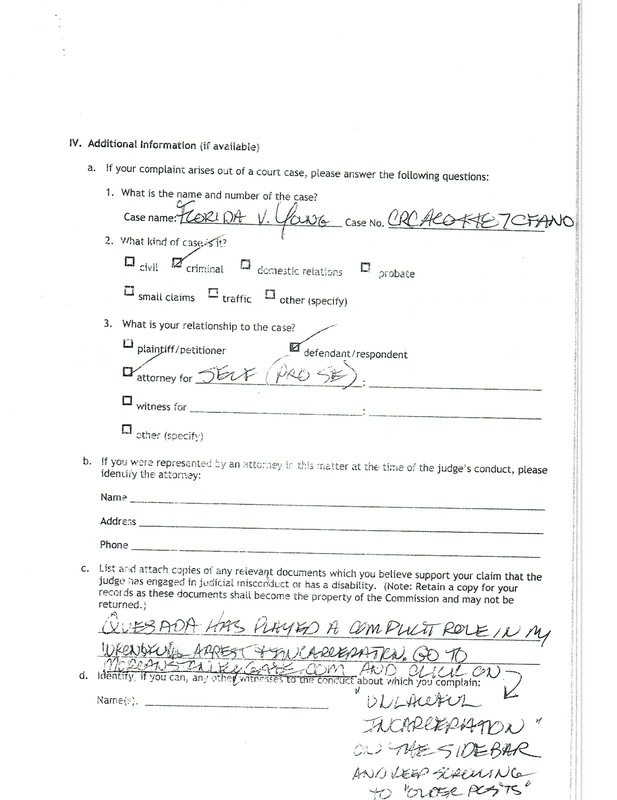 Making this matter even more disturbing, it was LaBarre and his long-time friend and colleague, Leon Stanback [then the acting Durham (NC) District Attorney], who concocted the bogus charge against Mr. Young. 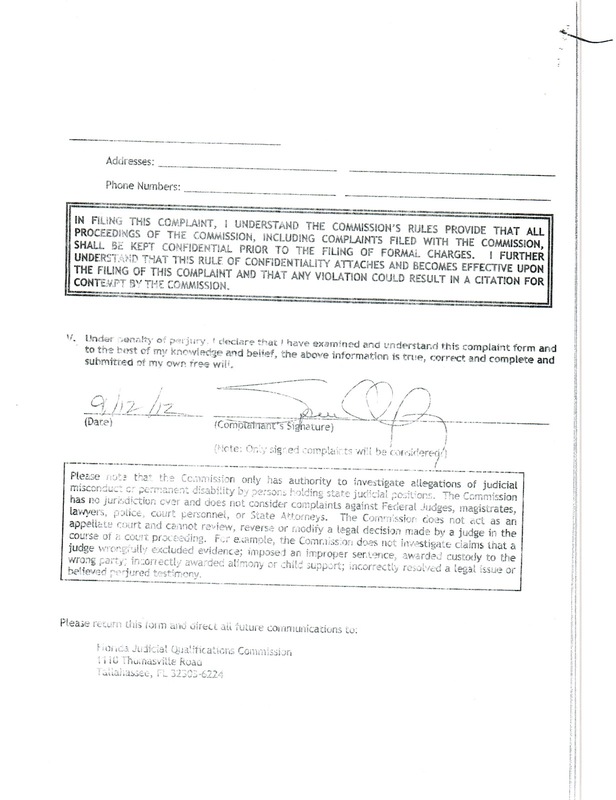 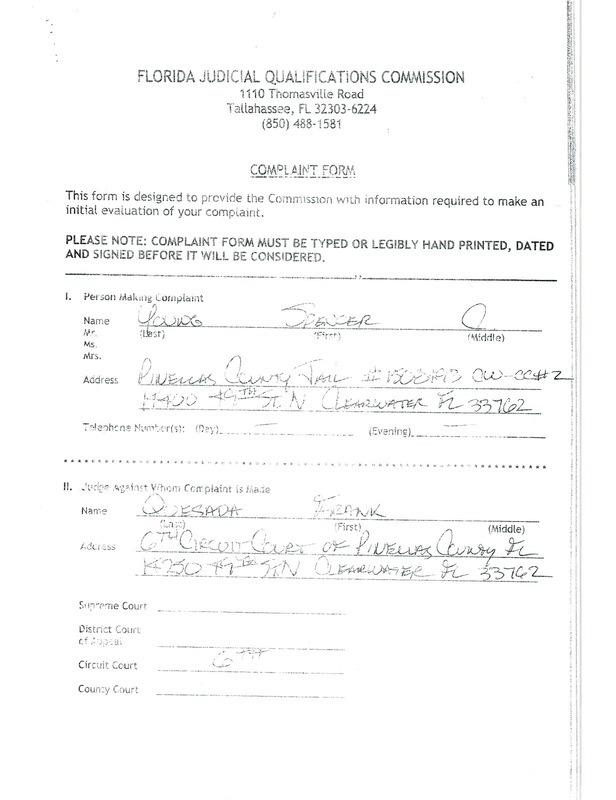 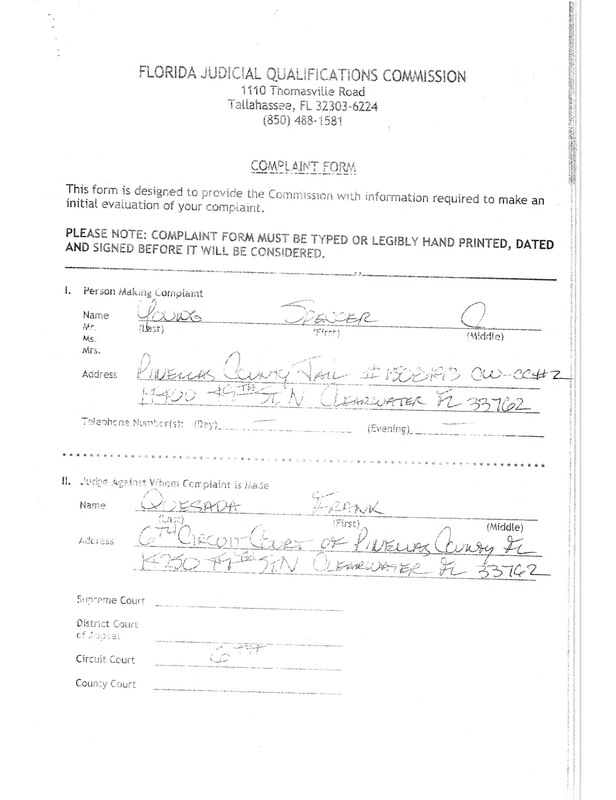 Reflected below is the ethics complaint filed against Quesada, which proved a worthless effort, as the Florida Judicial Qualification Commission simply ignored it. 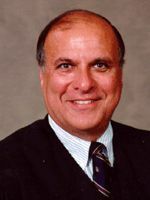 This notion of self-policing is an insult to one's intelligence and is the reason why judicial corruption is at epidemic levels today.